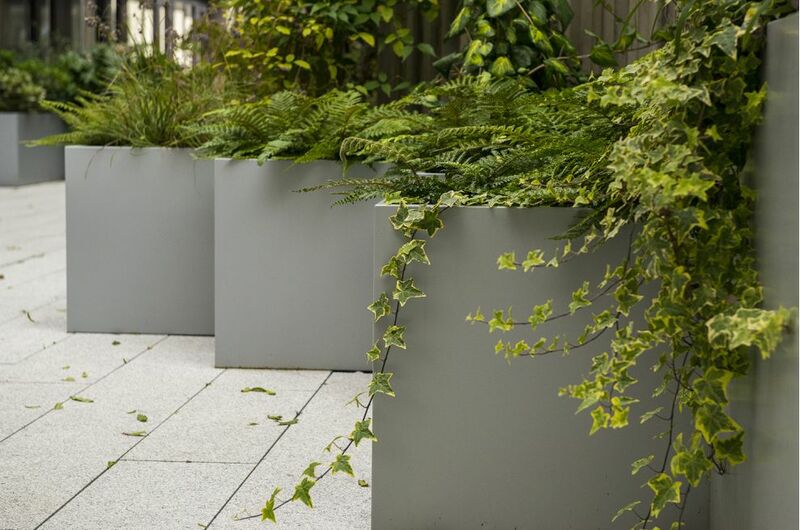 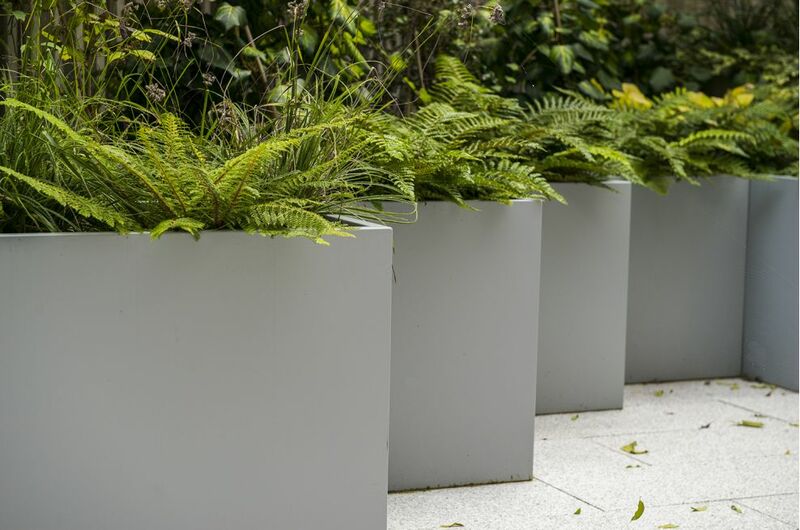 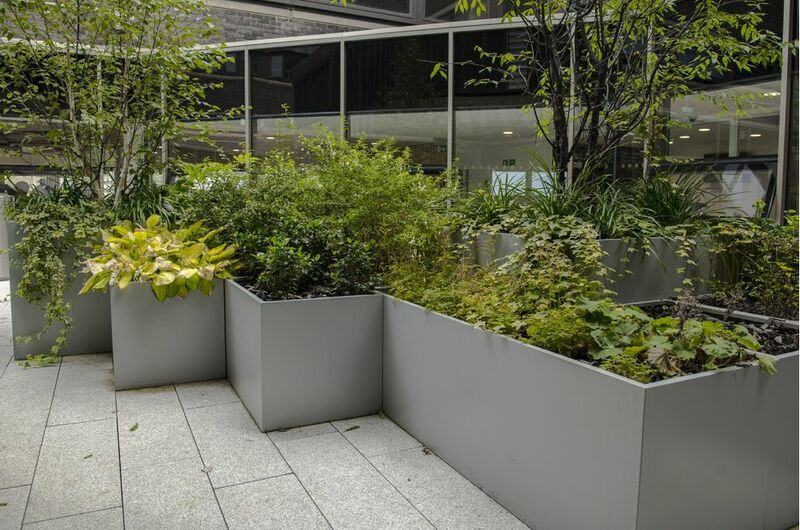 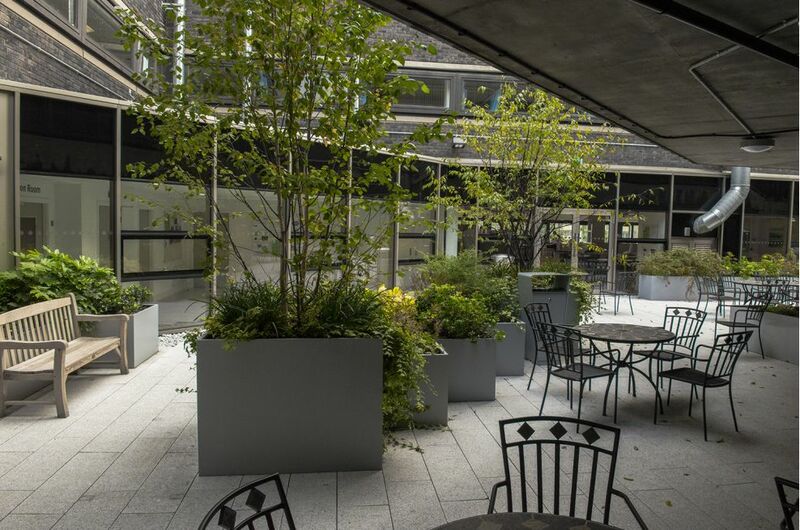 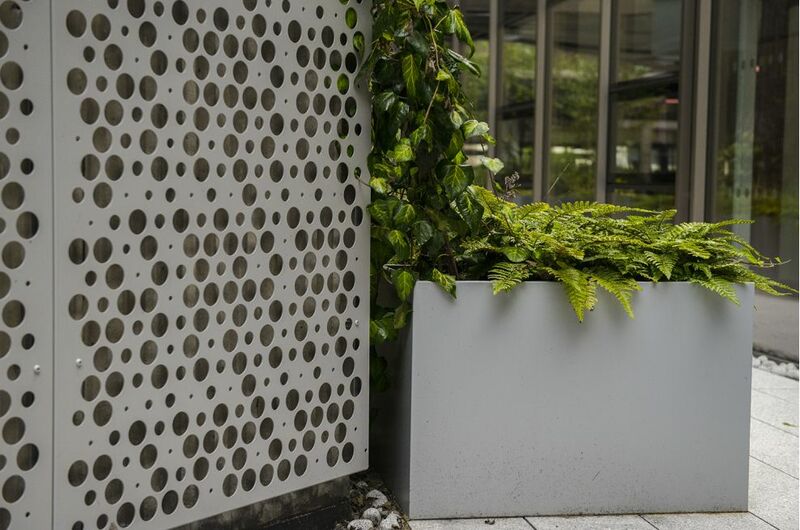 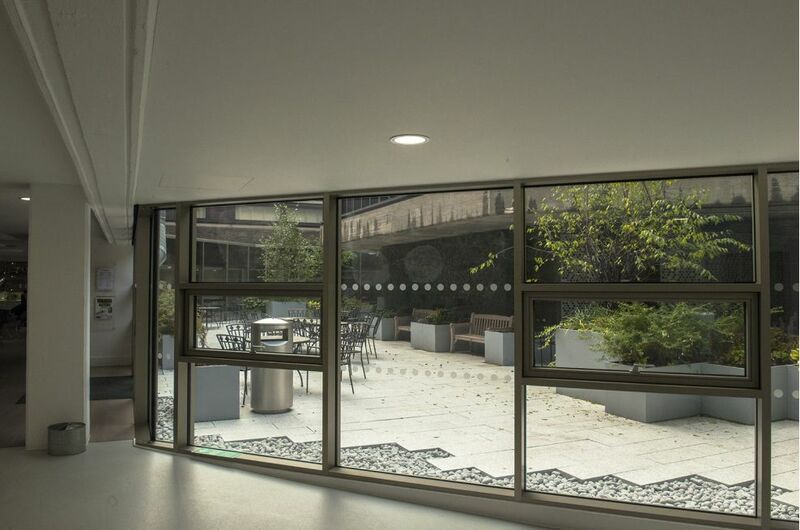 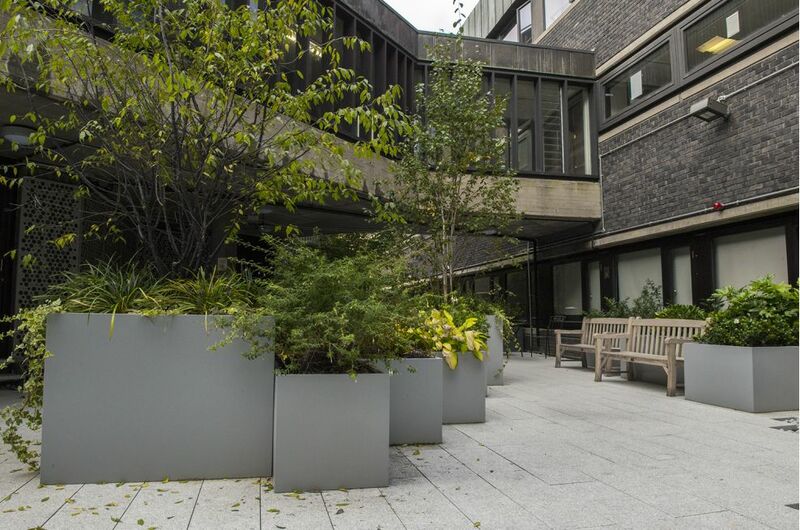 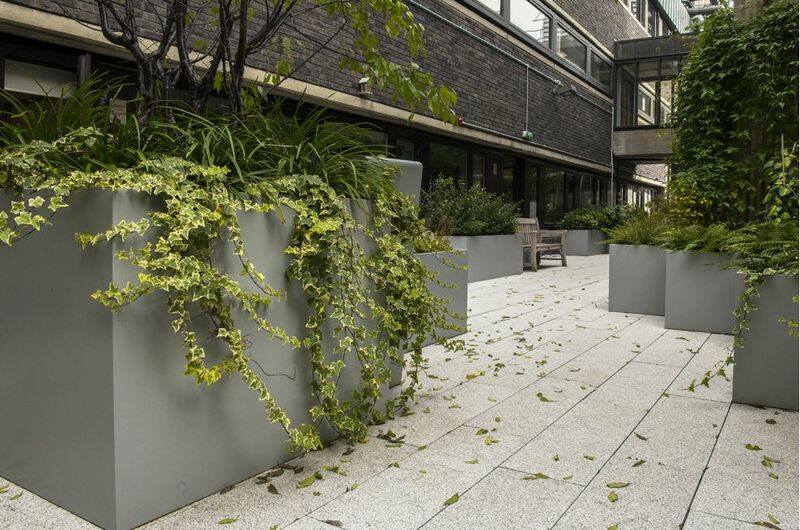 Bespoke steel planters were commissioned for communal courtyard gardens at City, University of London. 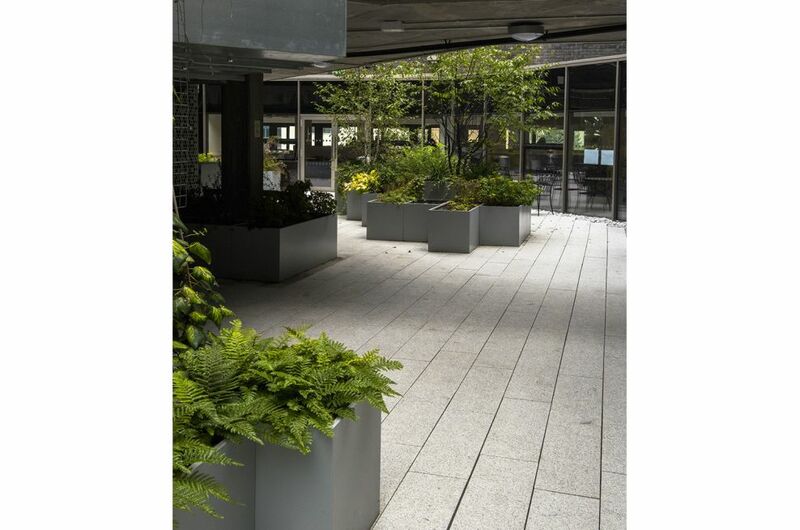 This was a sizeable project, and a total of 97nr. 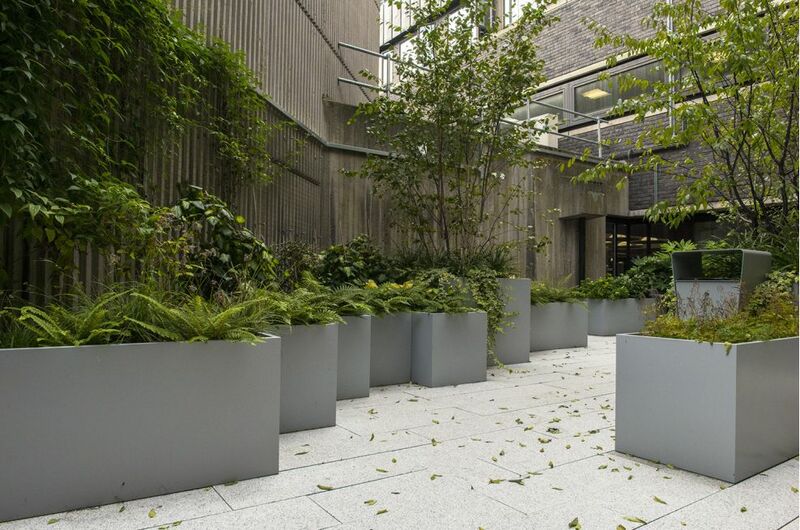 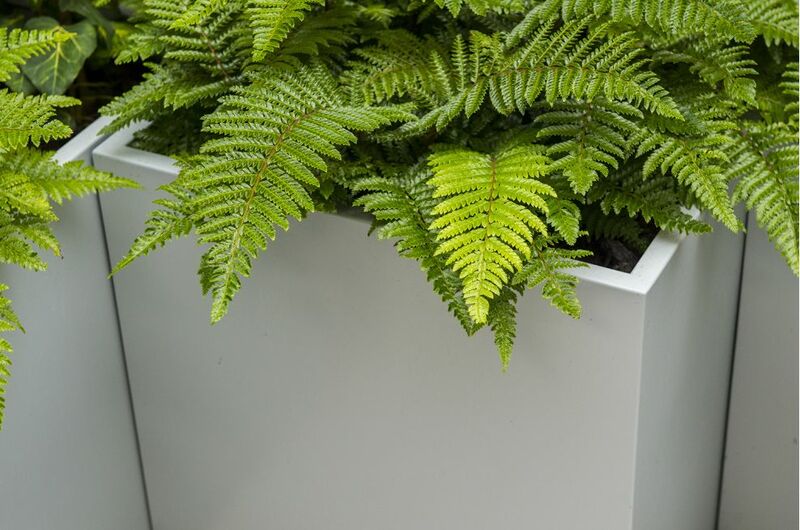 planters were supplied, in a range of shapes and sizes – from square tree planters of dims. 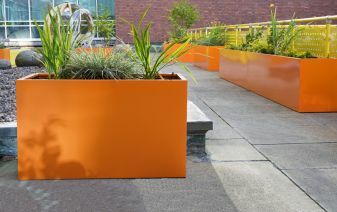 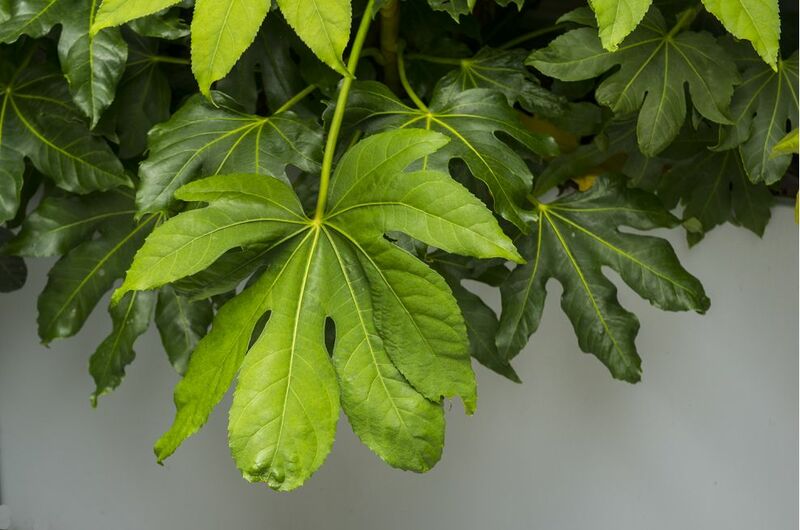 L / W 1200 x H 900mm, to rectangular shrub planters of variable lengths from L 1800 down to L 900mm. 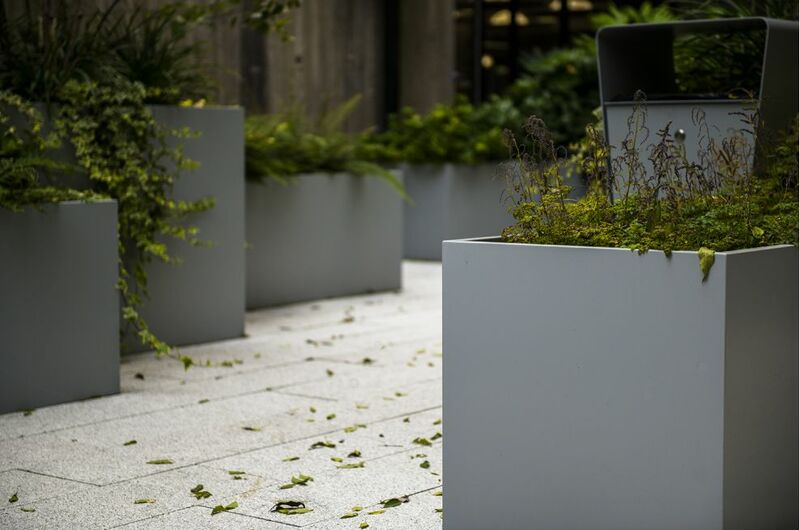 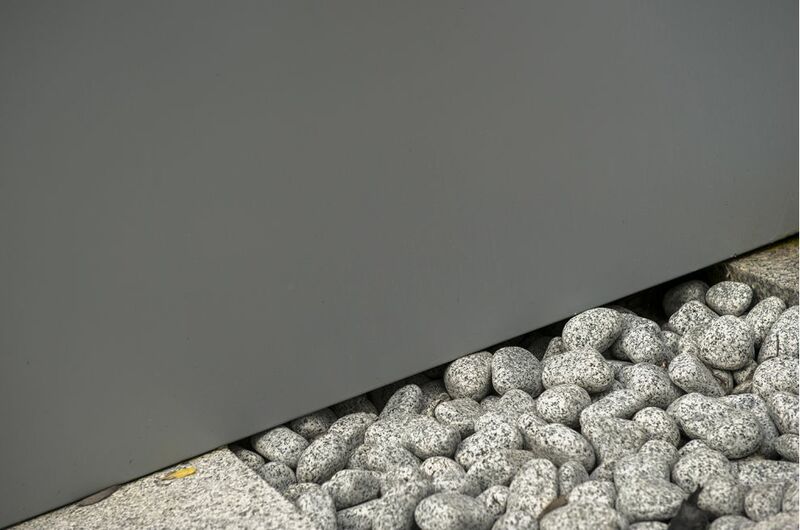 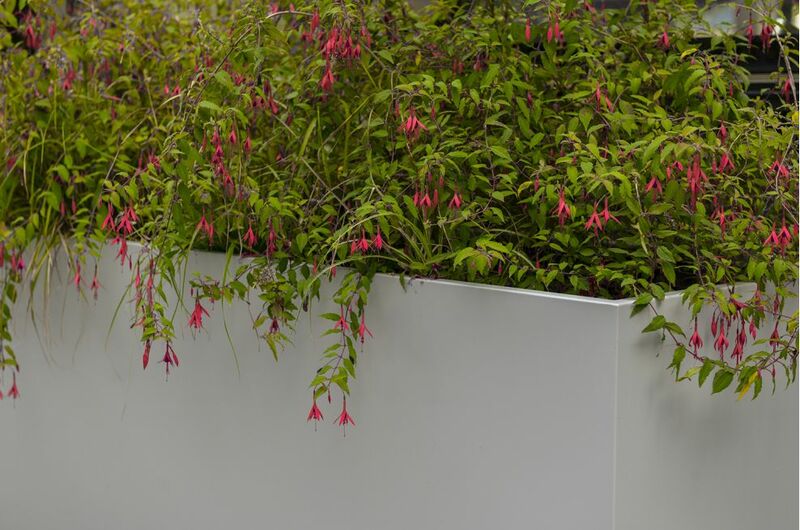 The planters were manufactured, to IOTA’s standard design, from Zintec Steel, polyester powder coated to RAL 7040 [Window grey]. 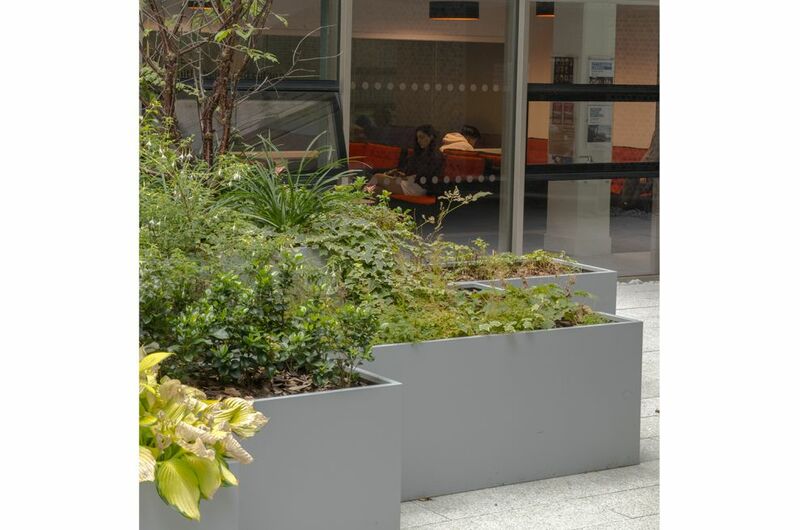 This project was IOTA’s second involvement at City, University of London; the previous >> being an external courtyard garden in Northampton Square itself, where IOTA’s Boulevard planters were supplied.